GIS Cloud supports photos as attributes in the data table. Photos can be collected in the field or attached to the features. 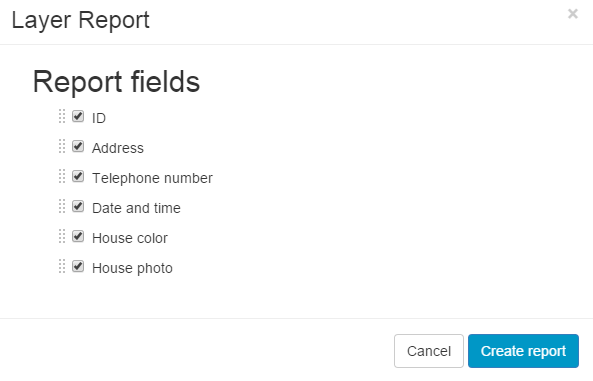 Report option displays all attribute data together with photos in a form of the report. The report can be saved locally on the computer as a HTML file and a separate folder with the collected photos. Map Editor and Mobile Data Collection Portal support creating a report. 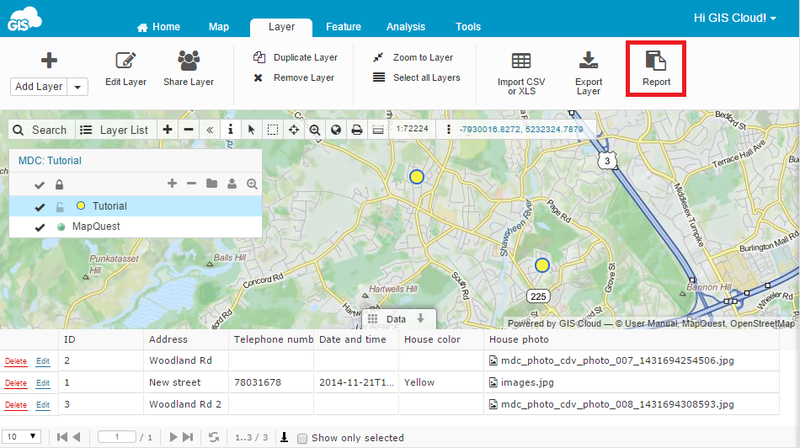 Open the map and select the layer in Map Editor or open the project in Mobile Data Collection Portal. 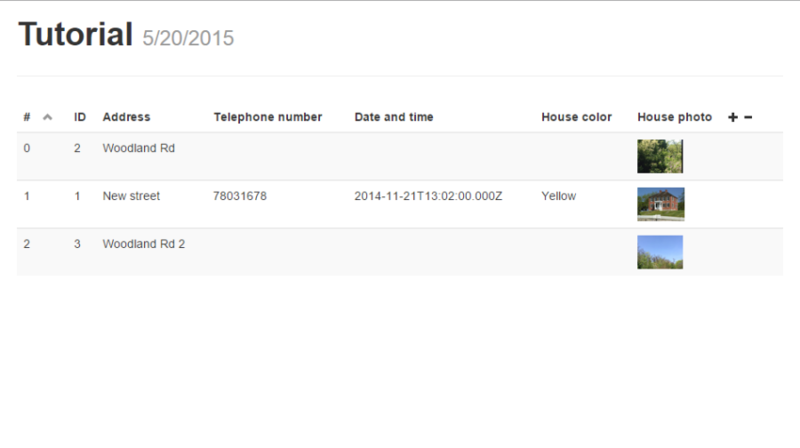 Select the fields that will be exported. Press CTRL + S on the keyboard. The Save As dialog will open. On Windows, select the location where the report will be saved and select ‘Webpage, complete’ option. File Manager is used to store and manage data in the cloud. It can be accessed only in Map Editor (Tools tab). The maximum number of downloaded files for this option is 50. If you have a large amount of data, Secure File Transfer protocol is a quicker way to download or upload files including photos. 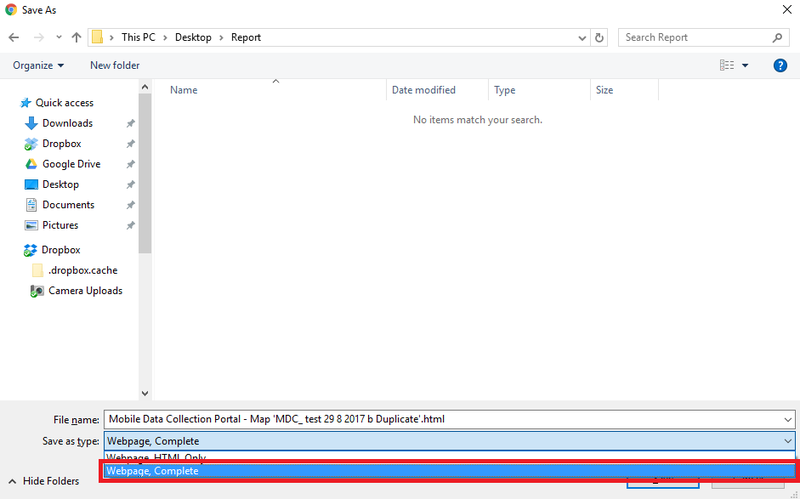 All the MDC collected photos are automatically stored in File Manager in ‘uploads’ folder. Open the map or the project in Map Editor. 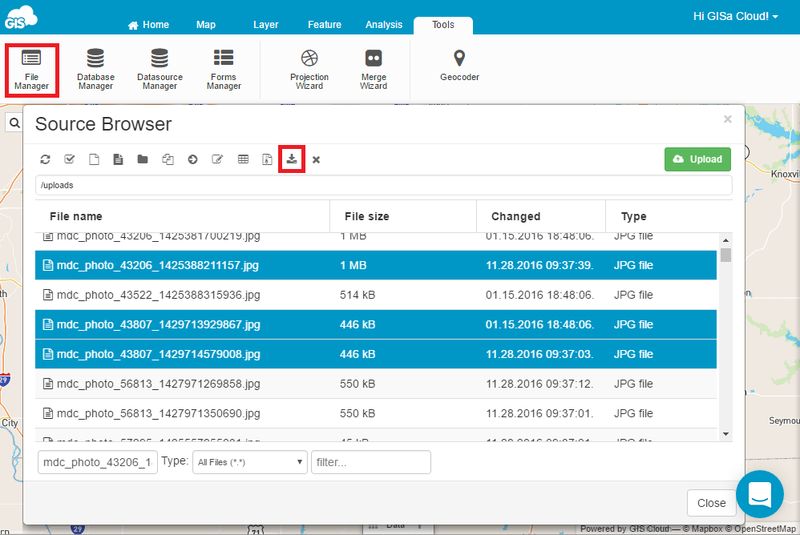 SFTP is used to easily transfer a big amount of data from and to GIS Cloud including photos. Download a SFTP client locally on the computer. 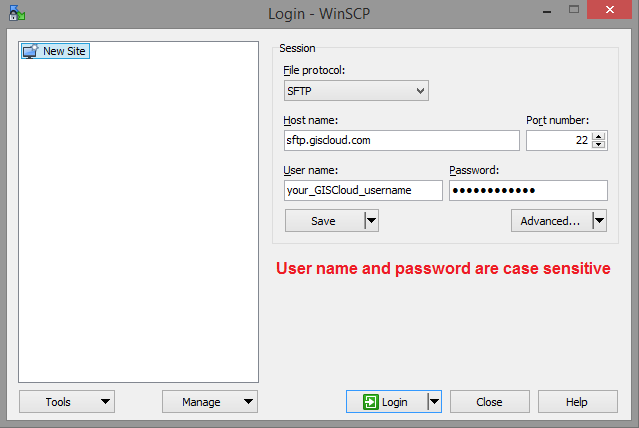 In host name box write sftp.giscloud.com. In ‘Port’ box write 22. 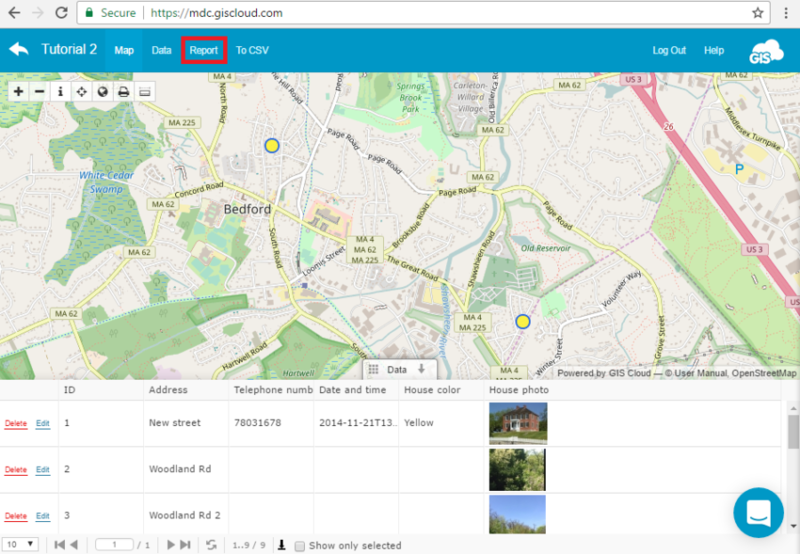 Log in with your GIS Cloud credentials and download photos. NOTE: username and password are case sensitive. The password can be changed in Manager app (Users tab). More info about SFTP can be found here.